“Captain America: The Winter Soldier”- The Longing for Purpose and Truth | J.W. 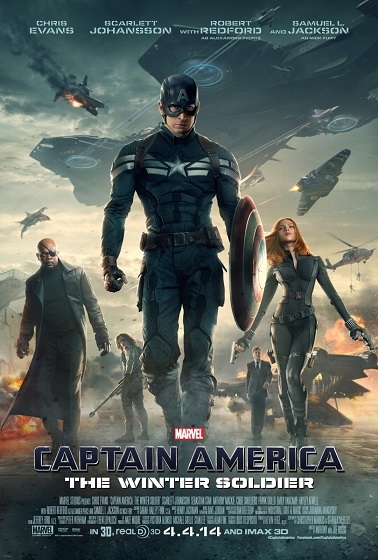 Wartick -"Always Have a Reason"
“Captain America: The Winter Soldier” opened to a tune of a $300 million weekend. The film has been “certified fresh” by reviews aggregate Rotten Tomatoes (currently at an 89%). People are talking about the film. Here, we will explore some major themes in the movie from a Christian perspective. There will be SPOILERS in what follows. A question which reverberates throughout the film is that of purpose. What is Captain America’s purpose? He struggled with this himself; in a world far different from the one he sprung from, what place did he have? It’s a kind of struggle that all humans experience at some point: an existential crisis of place. Where are we in the world? What is our purpose? How do we pursue it? These questions speak to a longing for something greater. They are questions which address the core of human nature: awash in a universe which at times seems empty and without purpose, we mirror the uncertainty Captain America displayed. Yet the film itself speaks to the fact that there is real purpose in the universe. In “The Winter Soldier,” friendship and loyalty play major roles. The revelation that The Winter Soldier is, in fact, Bucky, a friend from the Captain’s past, leads to a poignant scene in which the Captain refuses to fight his friend due to an earlier vow. Purpose, it seems, is grounded on relationships. It is grounded in persons. Ultimately, of course, the Christian worldview holds to that same concept but on a cosmic scale. Purpose in the universe is grounded on a person: God. The depths of human nature are plumbed in the film, as it is discovered that Hydra, an evil Nazi organization, has managed to infiltrate Shield at the highest levels. At the core of the film’s portrayal of human nature is the notion that we are ruled by various fears. We are overwhelmed by chaos, and, if given enough of it, will succumb to any amount of limitations and control in order to turn away from the pit of destruction. Hydra helped bring about as much chaos as possible in order to push humanity to the brink. It is a conspiracy theorists dream come true: the highest levels of intelligence infiltrated by an evil institution bent on wiping out all threats to its ultimate power. But the fact is that the plot twist was not really that unbelievable. But the strength of the scenario is how very believable it was. The notion that humans would give in to extreme injustice in order to flee from those things which scare them most really wasn’t unbelievable. The fact that both Hydra and Shield were working to eliminate “potential” threats ahead of time sealed the deal. The commentary on human nature should not be missed: humanity is inherently fearful. Separated from a sense of tranquility and order, we often cling to things which are patently unjust in order to try to overcome our current situation. Think about it frankly: do you really think the scenario in this movie is all that preposterous? That’s what makes it so powerful. It’s not preposterous. In some ways, it’s already happening. The portrayal of human nature discussed above leads naturally into the question of justice. Captain America acts as a kind of moral compass in the current Marvel universe. It is hard to resist the reasoning from both ends–Hydra and Shield–regarding the nature of humanity. In one scene, people are asked whether, if able, they would “press a button” to prevent violent hostage situations, terrorism, and the like. The appeal could have some nodding along with it. But think about it, touching that button would kill those who had yet to do anything wrong. Thus, Captain America seems initially naive when it comes to this moral reasoning. After all, why would he be so opposed to a system that could prevent the loss of life and ruination of people? But the Captain doesn’t stop the chain of reasoning there. Instead, he calls for a view of justice towards all people; one in which even the “bad guys” aren’t assumed to be irreparable. Its a strong message, and one which resonates with the Christian worldview in powerful ways. Think of Jonah, who would have preferred to see Nineveh burn than to see them repent. But he knew that God was a loving God, eager to show love and mercy to repentant sinners. Or consider the cry of Ezekiel to “turn” from wicked ways and repent to avoid certain death (Ezekiel 33:11). These themes echo in “The Winter Soldier” as the notion that simply terminating people who may be threats is explored. Viewing the Captain as a moral compass has some interesting outcomes. For example, though Joss Whedon (director of “The Avengers”) is an avowed non-theist, in that flick, Captain America quips to Thor: “There’s only one God, and… he doesn’t dress like that.” Though an offhand remark, it is interesting to see that Captain America affirms there is “a” deity at all, let alone “only one.” This, from the man who in the face of pressure from all sides, refused to kill the man he promised to protect. Regarding the Winter Soldier, I have to say that I see shades of the biblical Jonathan and David in the relationship here. There is a mutual vow to protect each other. The two are enmeshed in conflict and end up on opposite sides. Ultimately, they are forced to choose between destroying the other or honoring their loyalty to each other. Again, I’m not saying this is intentional, but the theme is there. “Captain America: The Winter Soldier” has much for Christians to discuss. It’s an extremely compelling tale filled with themes of justice, loyalty, and friendship. In order to effectively engage the culture, we should use it as a springboard to start discussions about the deeper things. Let me know your thoughts on the movie in the comments. A Christian Look at “The Avengers”– I examine a number of themes in “The Avengers” which Christians and non-Christians can discuss. Engaging Culture: A Brief Guide for movies– I reflect on how Christians can engage with popular movies in order to have meaningful conversations with those around them. The image is copyrighted by Marvel and I make no claim to rights. I use it under fair use. Many aren’t worth watching! But really, this one is! I am also a big fan of the first and the Avengers. I like most of the Marvel movies, though I thought Iron Man 3 and Thor 2 were disappointing. I just went to go see this on Saturday. Related to your comments on purpose, I saw a recurring theme about shifting identity. 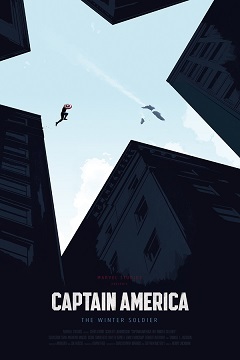 Cap’s identity is uncertain due to the time, culture, surroundings. The scene with the Victoria symbolised as much. Bucky’s identity is uncertain due to his brain being fried in the experiments. Natasha’s identity is fluid and she even made the comment about she can be whatever she wants, truth isn’t the same thing to all people. Fury’s identity is evolving, symbolised by burning the eyepatch. Then, of course, S.H.I.E.L.D. and Hydra turned out to be pretty much the same. Thanks for your comment! I agree with the theme you’ve spotted in there as well. The question of identity is definitely one which pops up throughout the film. How would you draw that into the Christian worldview?